Available on amazon. Order now! Sign up to the newsletter and don’t miss any news. 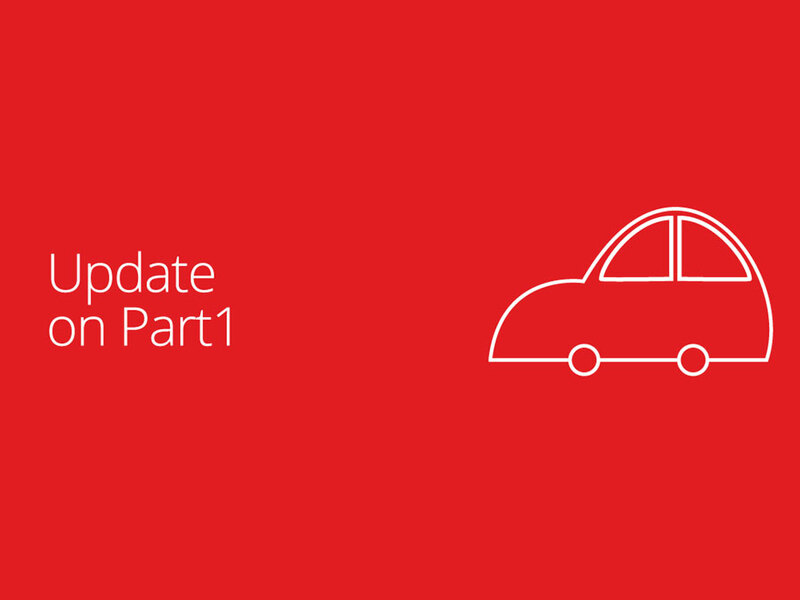 Everything you need to know about AUTOSAR 4.0.3 may be found in the 13,620 pages of the AUTOSAR specifications. Then why would you need this book? Because the official AUTOSAR documents are written as a specification and not as a guideline! What makes matters worse is that the documents are structured and formulated as requirements. 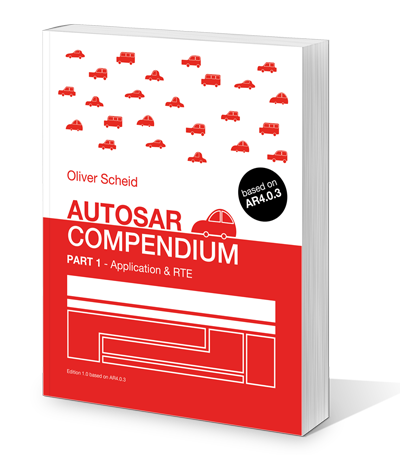 This is perfect if you need to implement the AUTOSAR standard but not so much if you simply want to know how to use it. Furthermore, while PDF files are well-suited for searching they can’t compare with a handy book where you can easily add your own personal comments and attach nice little colored sticky notes. 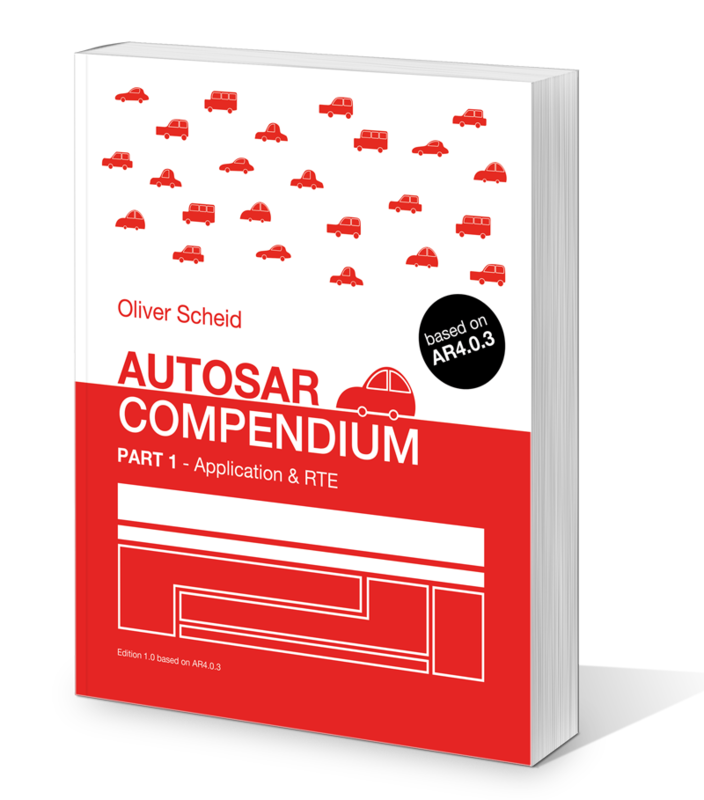 The AUTOSAR Compendium – Part 1 summarizes the first part of the AUTOSAR 4.0.3 specification, namely the Application Layer and the RTE. It explains all of the different attributes, their usage and logical connections with other parts of the specification. And it accelerates your work with AUTOSAR considerably by answering the most commonly posed questions. All this, enriched with practical examples on tool-configuration, ARXML-code, generated RTE-code and actual C-code implementations. 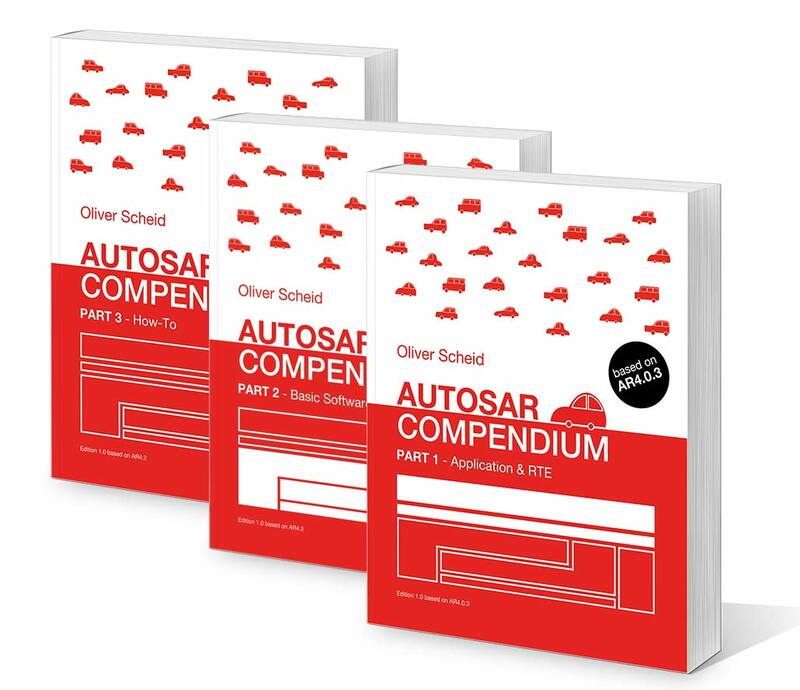 The Compendium is a priceless reference for software architects and software engineers who work with AUTOSAR each day. 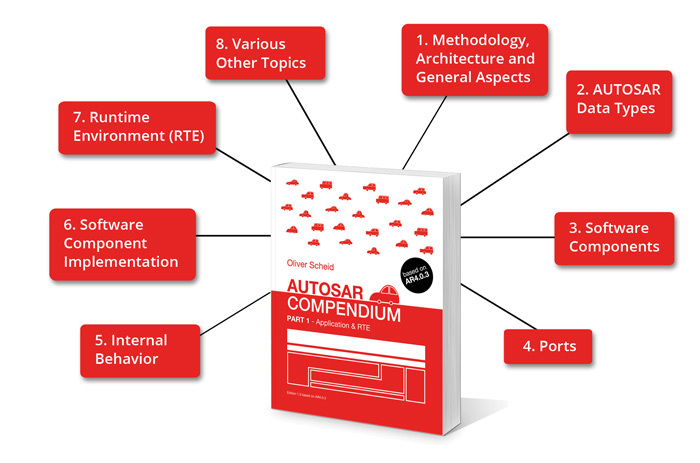 The AUTOSAR tutorials provide a priceless reference for the daily work of software architects, software engineers and software integrators working with AUTOSAR. 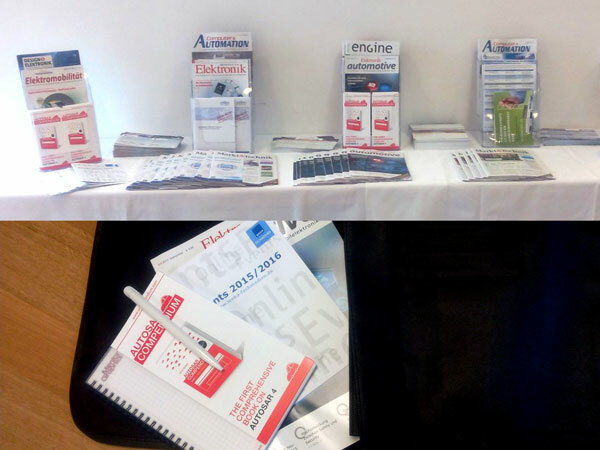 They are also helpful for Software Project Managers who wish to gain some insight of AUTOSAR projects. Understand the environment of your code that you write for Runnable Entities. Learn how to structure your Software into Software Components communicating though ports, design Interfaces, Runnable Entities and more. Learn how to integrate Software Components, configure the RTE and Basic Software Modules. 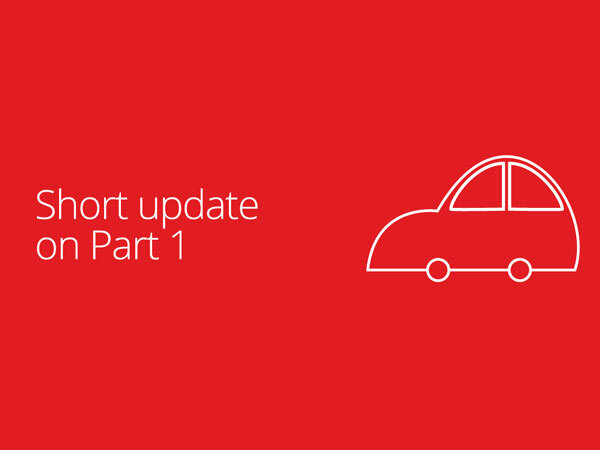 Learn about the capabilities of AUTOSAR and know what your engineers are working on. studied Communications Engineering at Karlsruhe University of Applied Sciences. 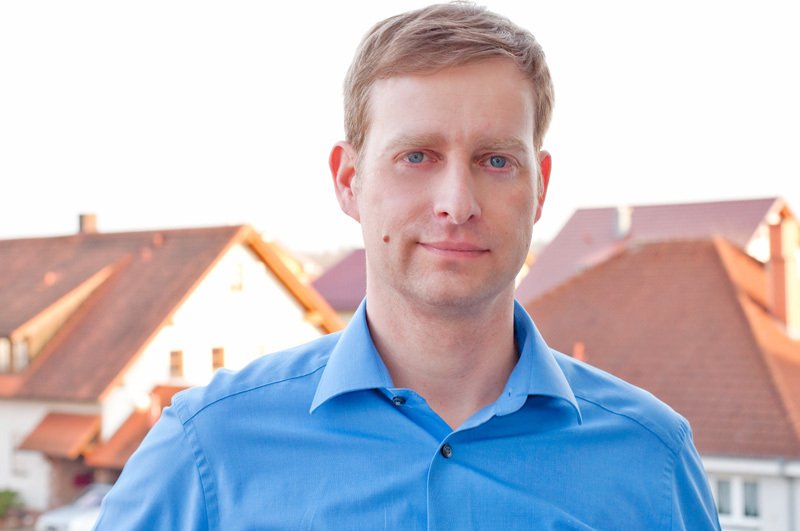 While working as a software engineer he earned a second diploma in Project Management at the University of Applied Sciences in Gießen-Friedberg. Since 2000 he has been actively involved in software development and project management for several Tier 1 suppliers in the automotive sector. In 2007 he founded the company, “Oliver Scheid engineering” and in 2011, “SCHEID automotive GmbH“. Here’s a link to the amazon author page.